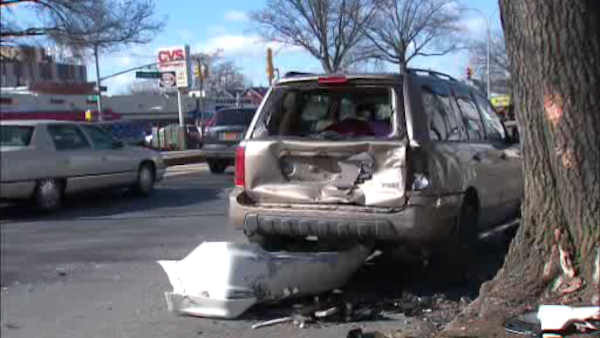 WOODHAVEN, Queens (WABC) -- Police are searching for a driver in Queens who crashed his car and left his badly injured passenger behind. Police responded to a 911 call of a motor vehicle collision in the vicinity of Atlantic Ave and 85th Street in Woodhaven early Sunday morning. Officers discovered a 21-year-old male front seated passenger with trauma about the body. An investigation determined that a 19-year-old driver of a 2008 Acura was traveling westbound in the left lane on Atlantic Ave when it lost control, struck a parked vehicle and a tree where it came to rest in the vicinity of Atlantic Ave and 85th Street. Police say the driver of the vehicle fled the scene of the collision in an unknown direction. The 21-year-old passenger was taken to Jamaica Hospital in critical condition. The driver police are looking for has been identified as Aidan Camacho. Police describe him as a male Hispanic, 19 years old, 5'8", 130lbs with black hair and brown eyes. 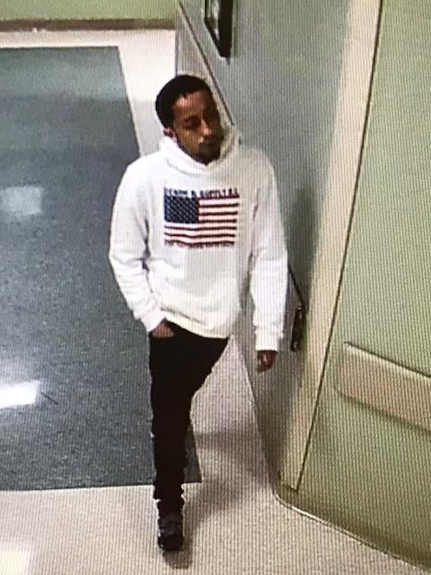 He was last seen wearing a white hooded long sleeve sweatshirt with dark pants and shoes.